You know the drill. When it comes to generating more leads through inbound marketing you'll frequently find yourself reminding your executives to have patience while your strategies ramp up and take effect. 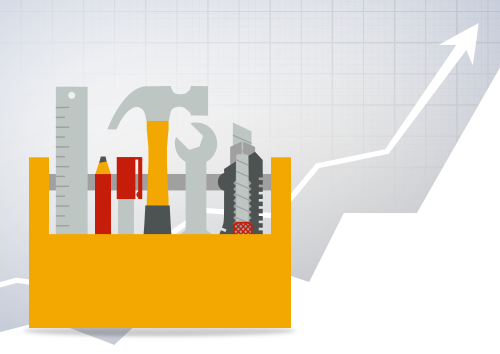 If you want to speed things up a tad, however, you can try one of these five website tools. While some may not provide instantaneous leads, they can still give your site a healthy lead boost. Telling compelling stories through equally compelling visuals can be a breeze with a slide show or presentation. Use the free SlideShare tool to choose different backgrounds and layouts that help transform a PowerPoint presentation into a slide show you embed on your site. Capture leads by allowing people to download your slide show in exchange for contact information. If you upgrade to the premium subscription you'll have automatic form included in your slideshare presentations. Gating vidoes or previously recorded webinar content is a fantastic way to encourage a visitor to convert to a lead. In fact, webinars and webcasts are second most effective tactic in B2B marketing after in-person events. Don't let your videos and webinars gather dust on your virtual office shelf. Video sites like Wistia cater to the business community and allow easy integraton with marketing automation tools like HubSpot. A word of caution. Although these are all fantastic lead generation tools, if you're not thinking about your buyers and using buyer personas to target your visitors you may actually be getting useless leads. Don't put the cart before the horse. Understand the type of content you'll need to bring in the appropriate leads.